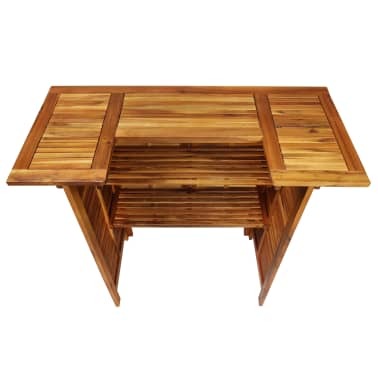 vidaXL Bar Table Solid Acacia Wood 43.3"x19.7"x41.3"
Take a sip of your favorite wine or enjoy a nice meal with your family or friends around this solid acacia wood bar table. 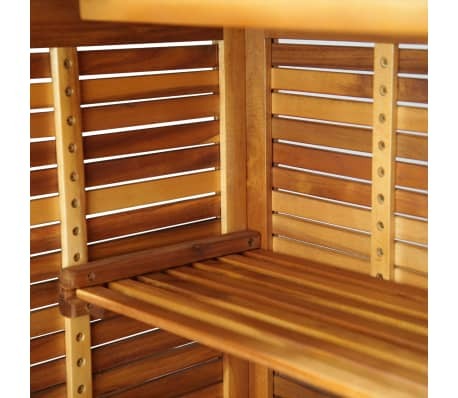 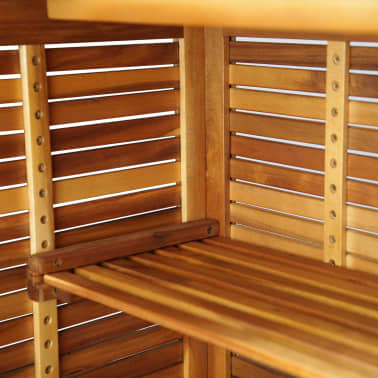 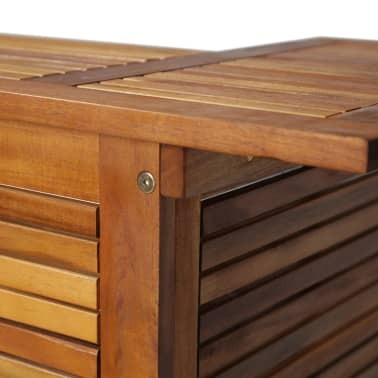 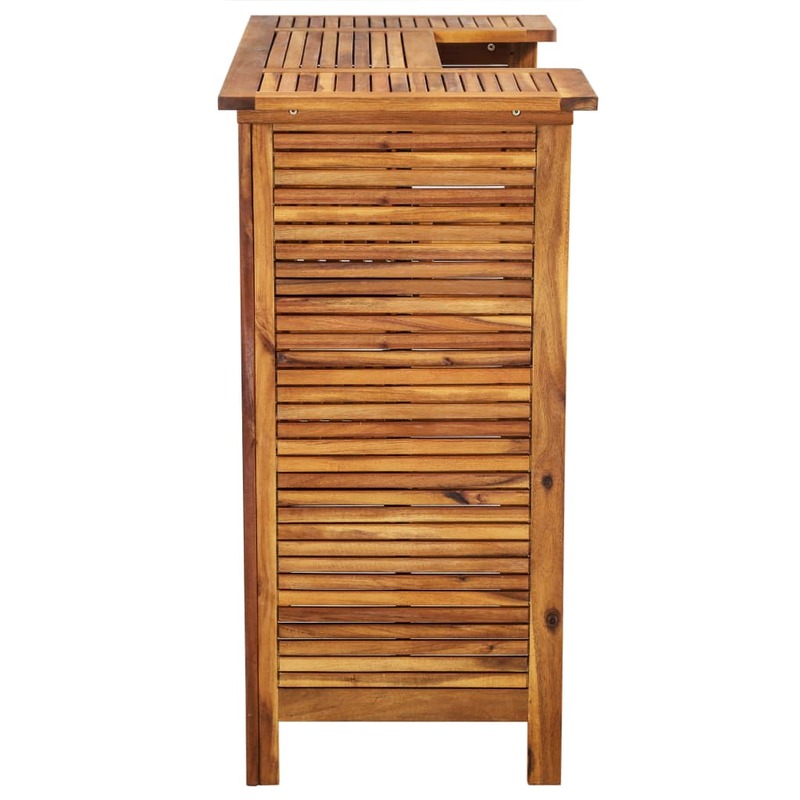 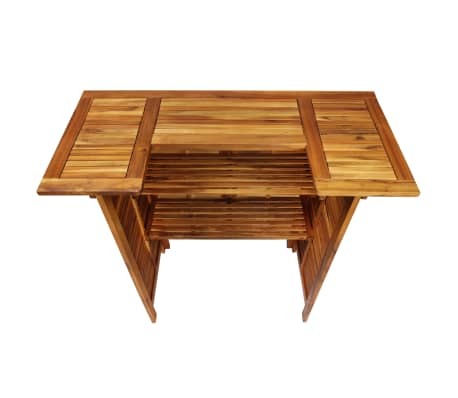 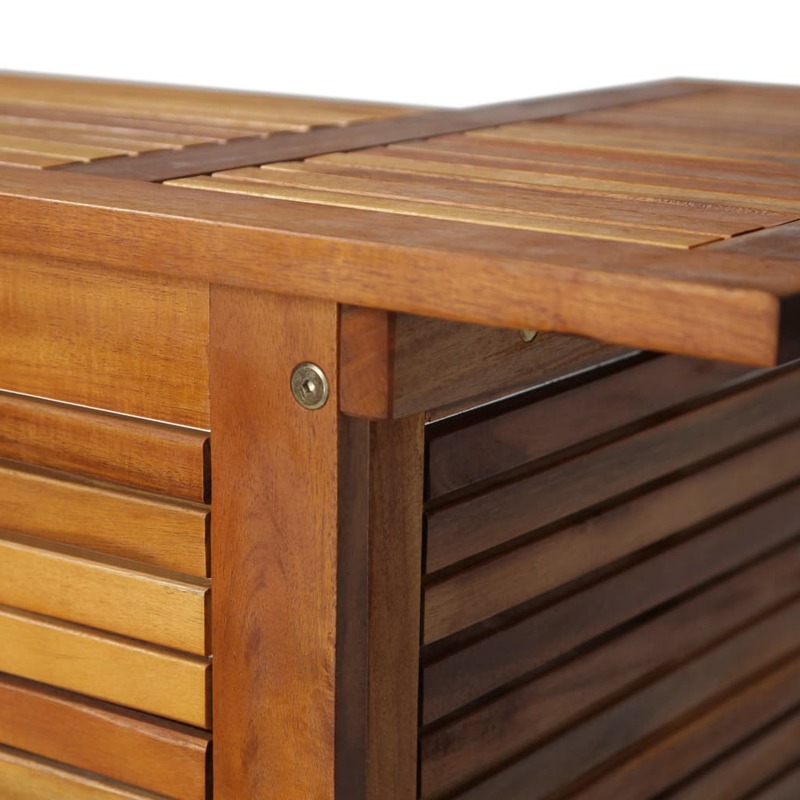 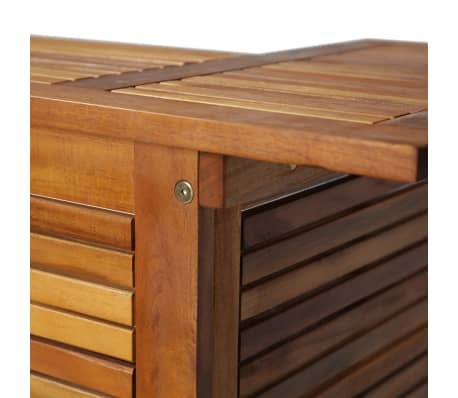 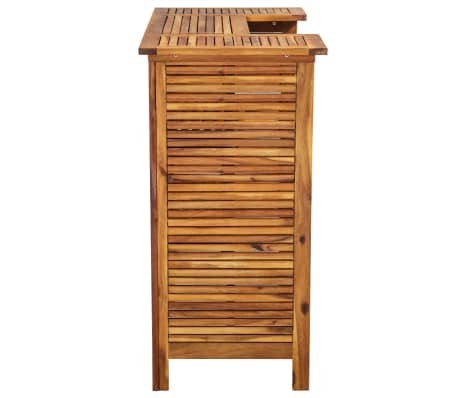 The wooden table will bring a rustic charm to your outdoor or indoor living space. 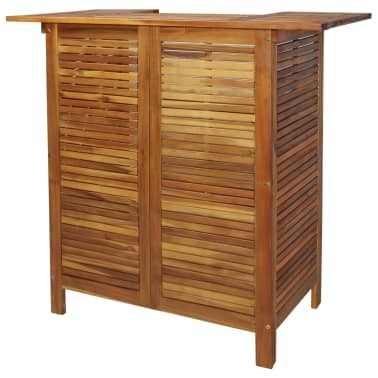 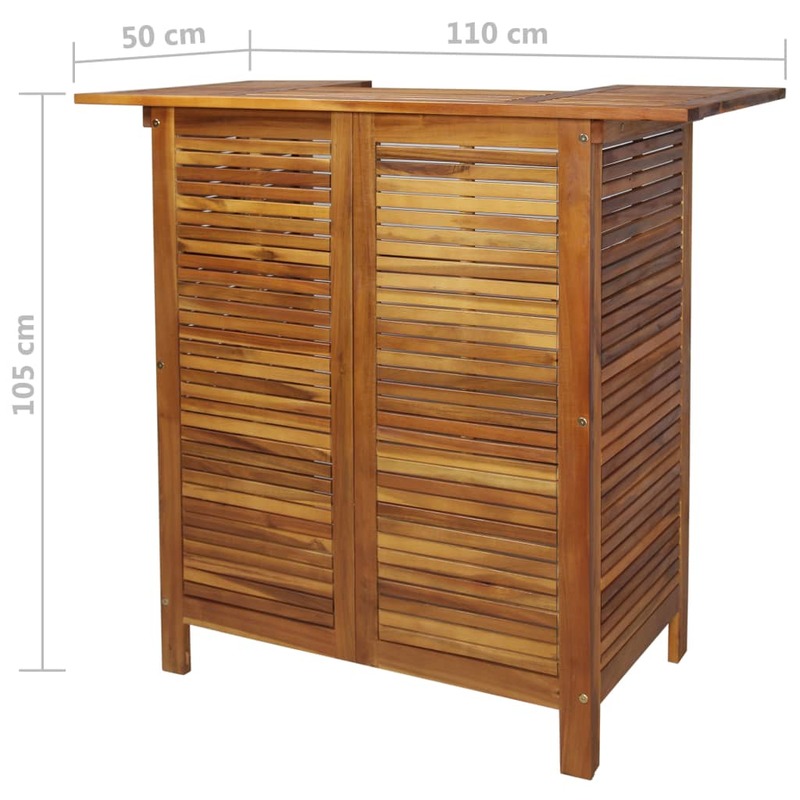 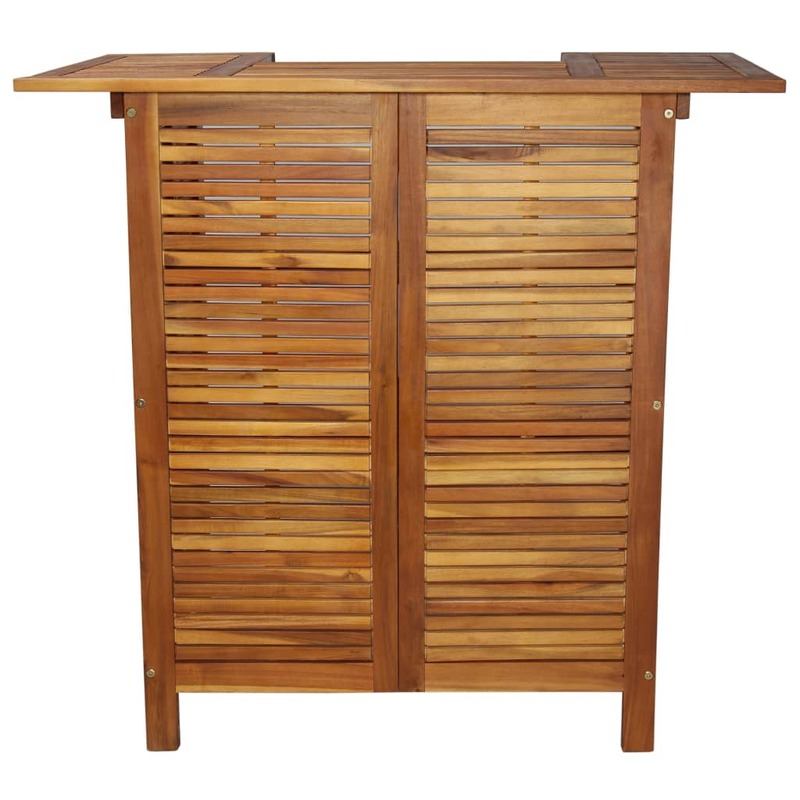 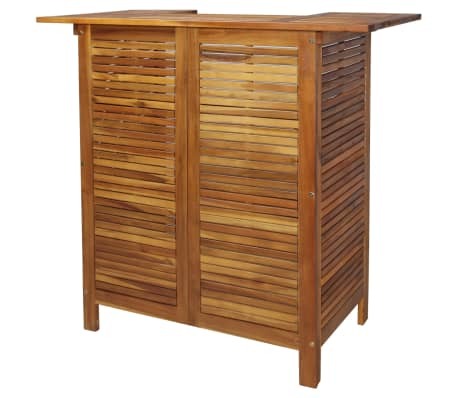 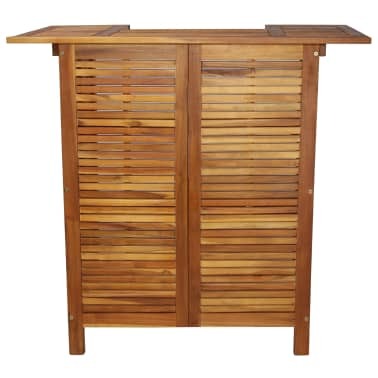 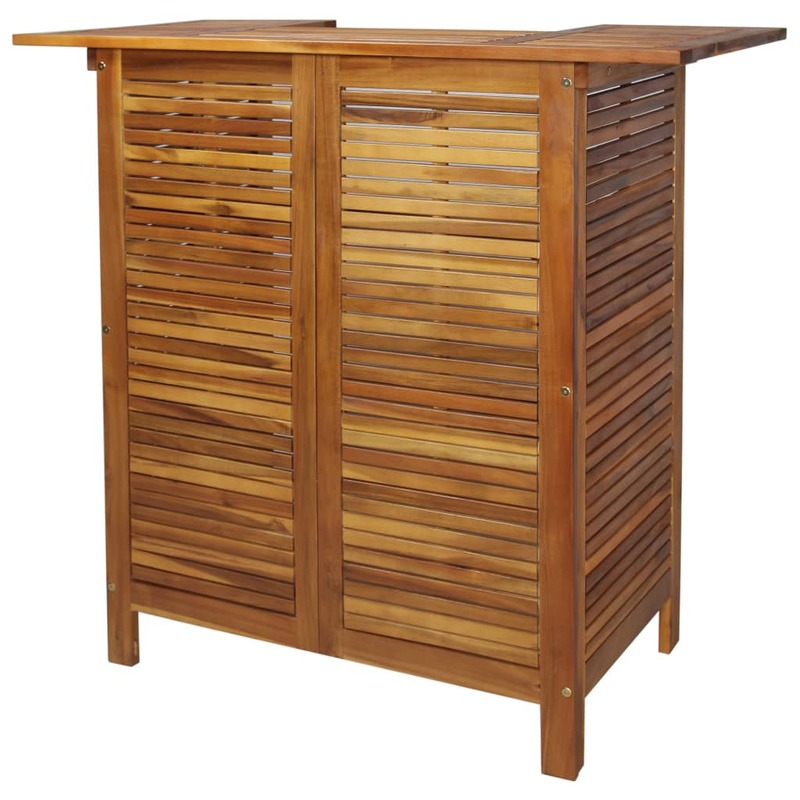 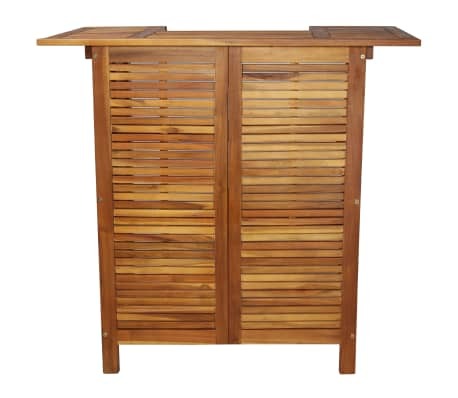 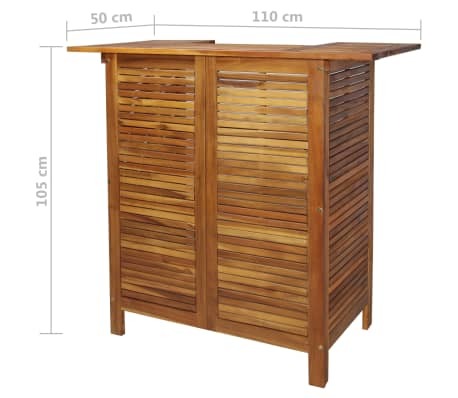 The high bar table is made of solid acacia wood, a tropical hardwood, which is stable, durable and weather-resistant. The oil finish gives the table a warm color and makes it easy to maintain. 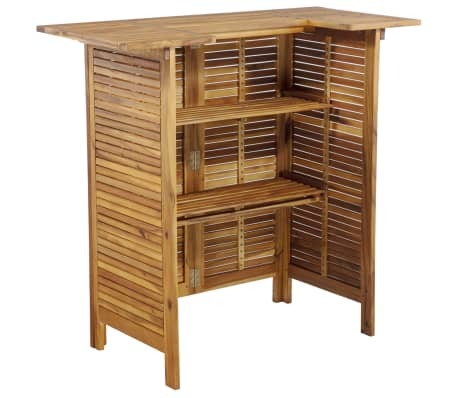 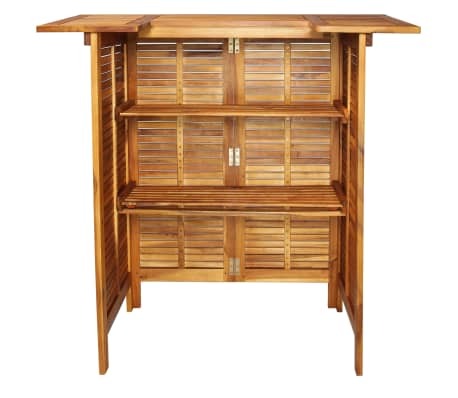 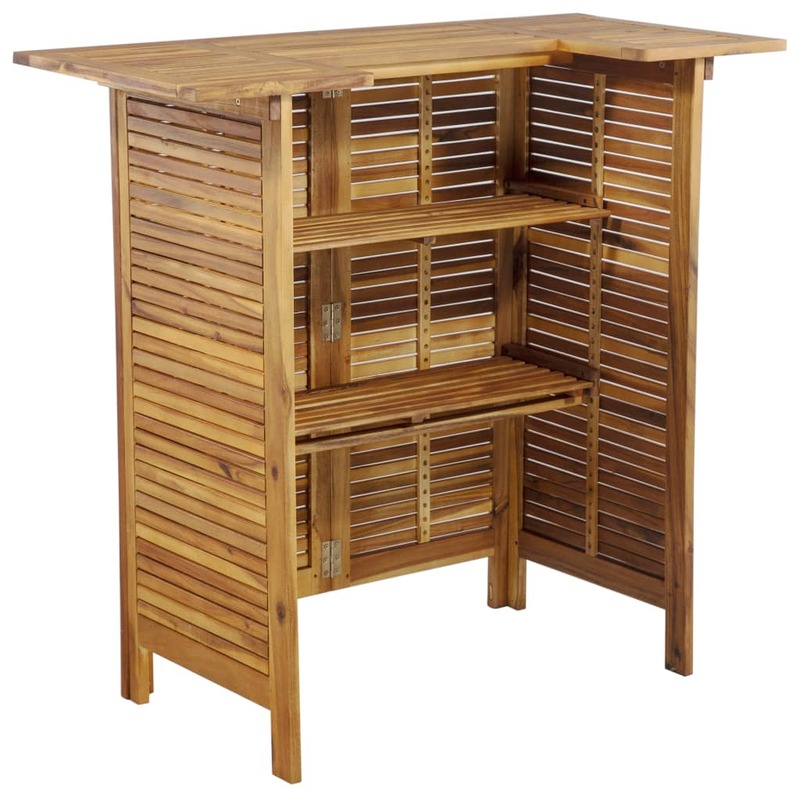 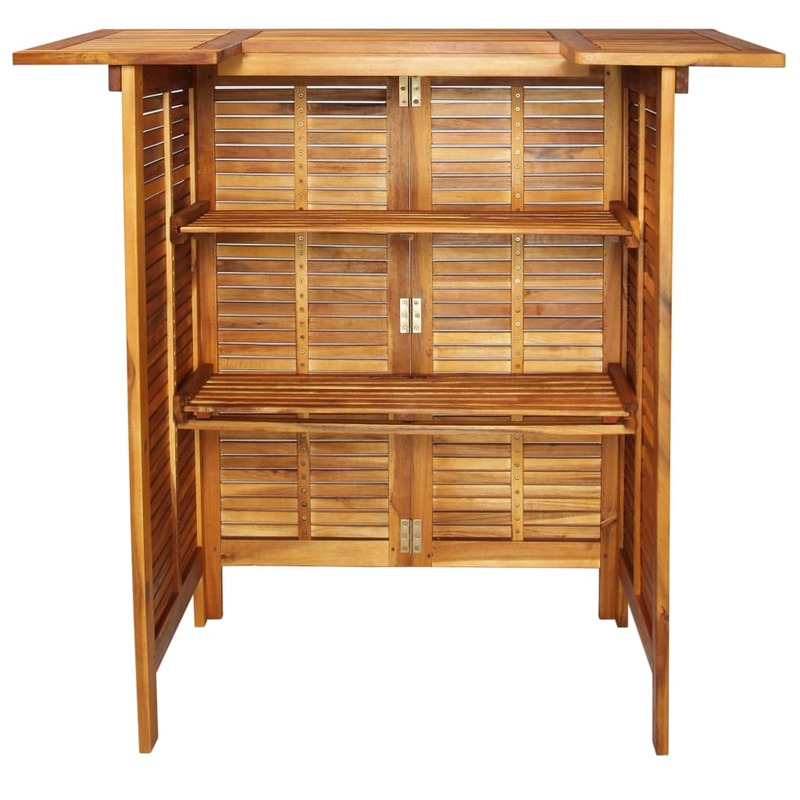 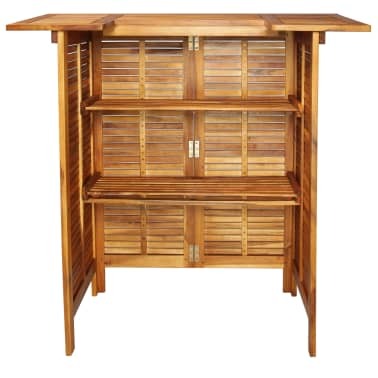 The high table has 2 shelves for keeping food and drinks within easy reach.